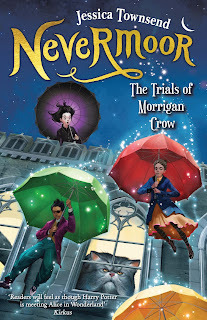 Review: Nevermoor by Jessica Townsend - Marvelously magical. It's then that Morrigan discovers Jupiter has chosen her to contend for a place in the city's most prestigious organization: the Wundrous Society. In order to join, she must compete in four difficult and dangerous trials against hundreds of other children, each boasting an extraordinary talent that sets them apart--an extraordinary talent that Morrigan insists she does not have. To stay in the safety of Nevermoor for good, Morrigan will need to find a way to pass the tests--or she'll have to leave the city to confront her deadly fate. 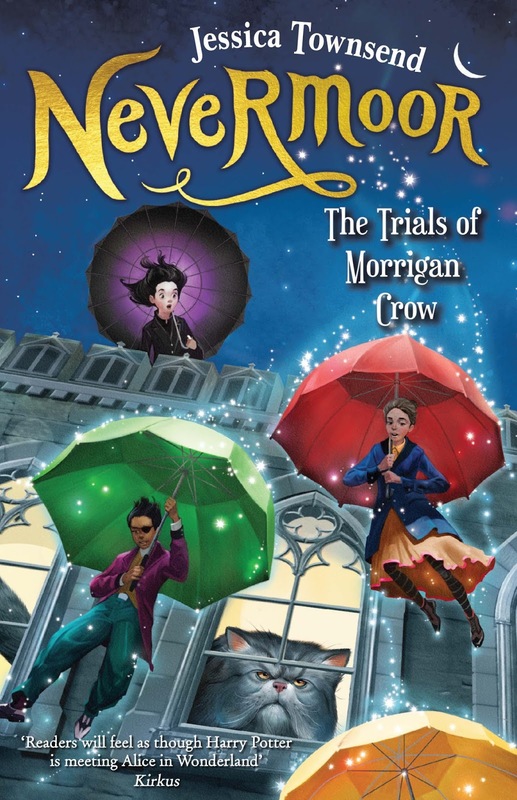 Nevermoor is a delightfully enchanting read which captures a sense of adventure on every page. Australian author Jessica Townsend's debut certainly has met the hype which came with her release, with comparisons made to Harry Potter that set the bar high. This new series does have the potential to become the stuff of legend for today's young readers, standing on its own as a uniquely imagined world of wonder and excitement with a protagonist who pushes past her vulnerabilities and is willing to 'step boldly'. She thought of the night before - of the wonderful moment when Jupiter had shown up at Crow Manor, the joy she'd felt at the break of dawn when she'd landed safely in the forecourt of the Hotel Deucalion. She'd believed a whole new world had opened up to her. This is a story which you can't help but be drawn to from the very first page. Even the most reluctant readers are sure to be hooked as they learn of Morrigan Crow's doomed fate and the dramatic circumstances which could change her life forever. What gives Nevermoor its charm is the world which Townsend has so intricately created. The idea of the Wundrous Society and telling of each trial which stands between Morrigan and her curse are all crafted in vivid detail which brings the plot to life. Although I would say this novel isn't as dark as Harry Potter, it still maintains a balance between the real danger following our protagonist and the fun of new experiences such as staying at the Hotel Decaulion and meeting a 'Magnificat'. At its heart, even when you take away the fantastical elements of this book, there is a message which readers both young and old will appreciate, about finally seeing what makes you special, and having the confidence to embrace it. Nevermoor has enough charm to appeal to people of any age, capturing the enchantment of a world where what hides behind the shadows is no match for the magic which lies within. I can't wait to see what happens next in this series!